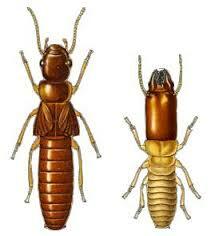 Termites are a group of insects consisting of 2,500 species of which 300 are considered pests. Termites are one of the most damaging pests in the tropics and can cause considerable problems in housing. There are 2500 species of termites including subterranean termites, Thompson termites ,Termopsidae, hototermitidae, kalotermitidae, seritermitidae, etc. There are several families and sub-families. Some have nests underground, others in wood, for example hollow trees, and some build mounds. Termites are causing severe damages to buildings and constructions and structures all over the world and now a days it is a great problem to the industry. Termites feed on cellulose, paper, plywood, cloths, bamboo, furniture, wood etc.Which are prone and very sensitive for termite attacks. Besides making tiny ways through the walls and structures, making the structure weak. Termites enter through the foundation. Hence, it is most important to have preventive measures. Termites might be in your home actually live 15-25 feet underground, and perhaps as far as 50 yards or more from your building. 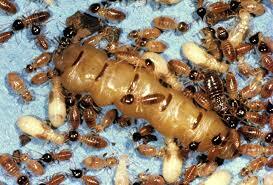 A typical termite colony can number 300,000 to 3,000,000 workers. Think in terms of a 200 ltrs drum full of squirming grains of rice… that’s a small colony. 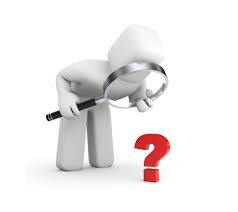 Artificial pesticides/chemicals can quickly find their way into food chains and water courses. This creates health hazards for humans. There is also much concern for people. The products may be misused. There are a number of harmful effects that chemical pesticides can have on the environment. Artificial pesticide can kill useful insects which eat pests. Just one spray can upset the balance between pests and the useful predators which eat them. Artificial chemicals can stay in the environment and in the bodies of animals causing problems for many years. Pests become resistant to pesticides so more powerful chemicals are needed. Termites can enter through voids in the foundation wall, expansion joints where the floor meets the wall. Termites can invade your building through foundation voids, plumbing pipes and pier supports; on the surfaces of the foundation walls (exterior and interior); and through any wood-to-ground contacts. Termisolve B PRO is unique and effective anti termite chemical. Termisolve B-PRO contains solvents and inorganic boric salts alongwith copper compounds . In a nutshell it is a combination of modern chemistry and proven knowledge of our ancestors. prevents and corrects termite problems. Anti termite treatment for timber structures and wood. 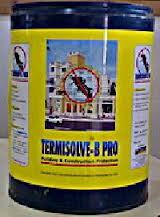 Termisolve B PRO is ideal barrier between termites and the building. In case of normal wall load bearing structures, column pits, wall trenches and basement, the treatment shall be at the rate of 5 litres/sq.m. of surface area of the bottom and sides to height of at least 400 mm shall be treated at the rate of 10 litres/sq.m. of vertical surface of sub-structure on each side. The top surface of the filled earth within plinth walls shall be treated with chemical emulsion at @ 5 litres per square metre of the surface area before sub-base to floor is laid. Make 12 mm or 18 mm dia drill holes at the junction of wall and floor.The depth of the holes should be atleast 6 inches to 18 inches to ensure proper chemical barrier. The distance between two holes should be 10 to 12 inches. Inject Termisolve B PRO through the holes @ 10 liters per sqm. Clean the mud ways by polish paper. Spray Termisolve B PRO on affected area. Then inject Termisolve B PRO through holes as described above throughout the building Dont add water in termisolve BPRO . This process must be carried out minimum 6 to 7 times at the interval of 4 to 6 days. Termisolve BPRO’s mode of action is that of a slow acting stomach chemical in termites and beetles and a contact chemical to decay fungi. As insects or their larvae feed on, tunnel in and/or digest wood, they accumulate the active ingredient into their systems which acts to poison the insect. Borate compounds is one of a family of borate compounds (containing boron and oxygen), which are considered absolutely dangerous to insects. Borate compounds utilize a stop-feed mode of action. Stop-feed means that the active ingredient borate disrupts the enzyme and digestive systems of the insect, preventing future digestion and causing death by starvation. In treatment of wood decaying insects like termites or carpenter ants, borates prevents these pests from being able to digest the wood that they depend on for the survival . Copper compounds have fungistastic and fungicidal properties and prevents fungal spore germination along with reaction with many of the components on the fungal cell walls and within fungal cell walls. Keep out of reach of children. This is neither drug nor an insecticide. Chemicals used in this formulation do not come under Indian insecticide act 1968. Data presented in this document is in good faith and accurate and best to our knowledge.The data is submitted for information purposes only and without warranty whatsoever.We do not accept any responsibility or liability which may result from the use of this product.This is due to the nature and application of this product.The use and handling etc. of this product are beyond our control. Hence, we do not accept any Responsibility and liability.